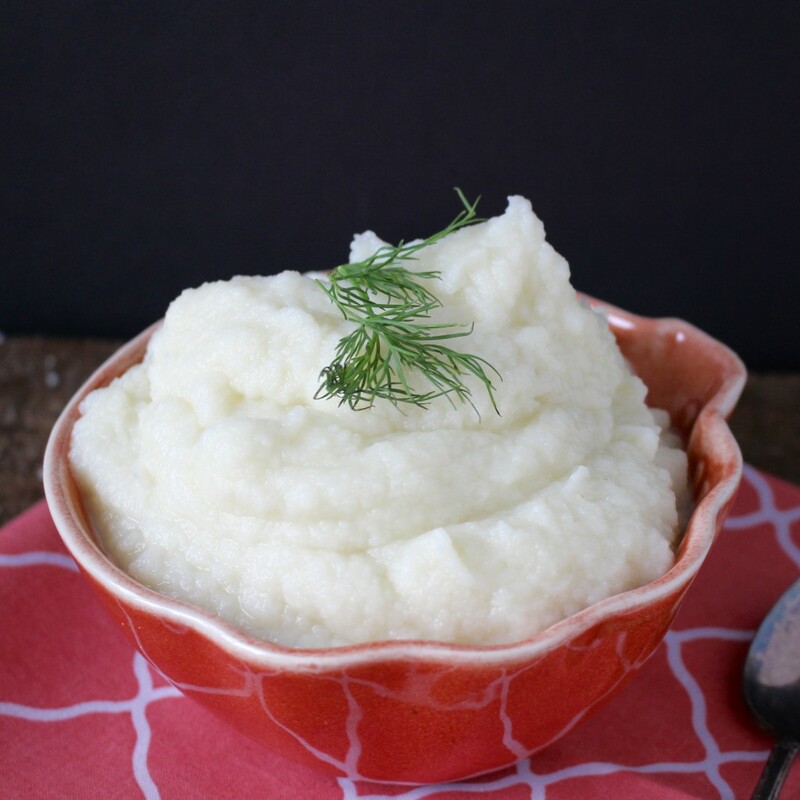 This Easy Mashed Cauliflower is so simple and a great replacement for mashed potatoes. 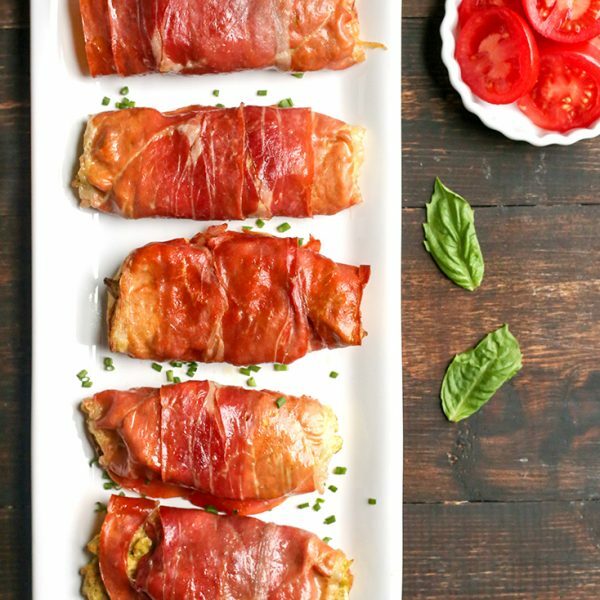 Paleo, Whole30, gluten free, low carb, and vegan. 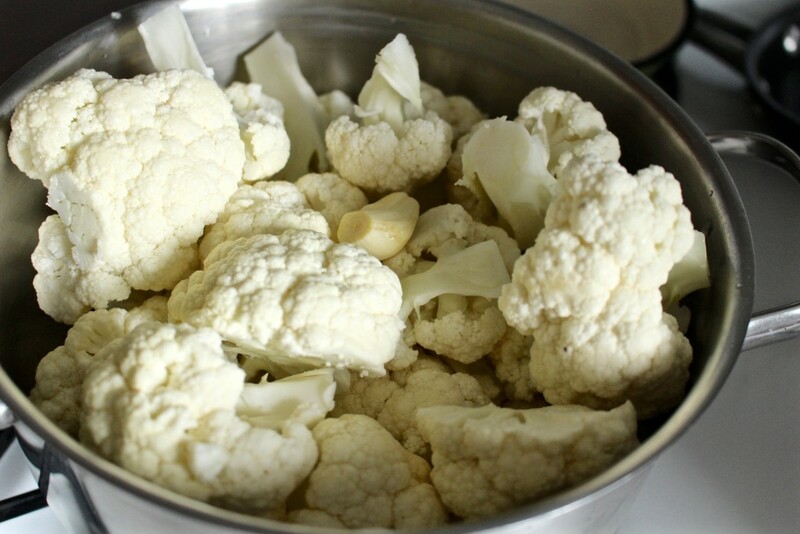 My husband does not particularly like cooked cauliflower. In fact, he has told me many times that he hates it. I take that as a challenge to see if I can prepare it in a way he likes, and I’ve succeeded. 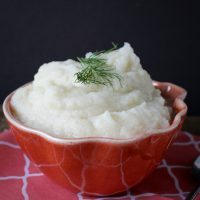 This does not taste exactly like mashed potatoes, cauliflower never will, but it’s a tasty side with the same consistency. I add garlic to help with the flavor and I try to get it as smooth as possible. 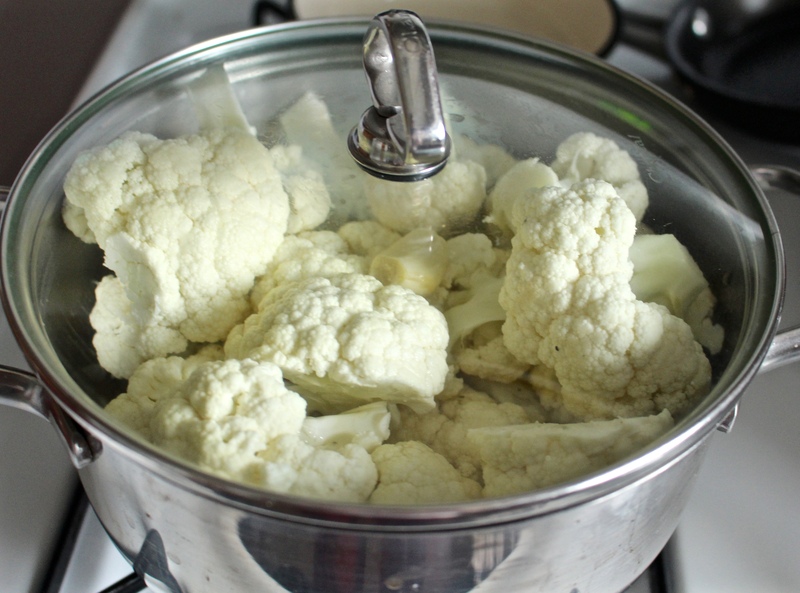 Cut the cauliflower in large chucks and place it in a saucepan with the garlic and salt. 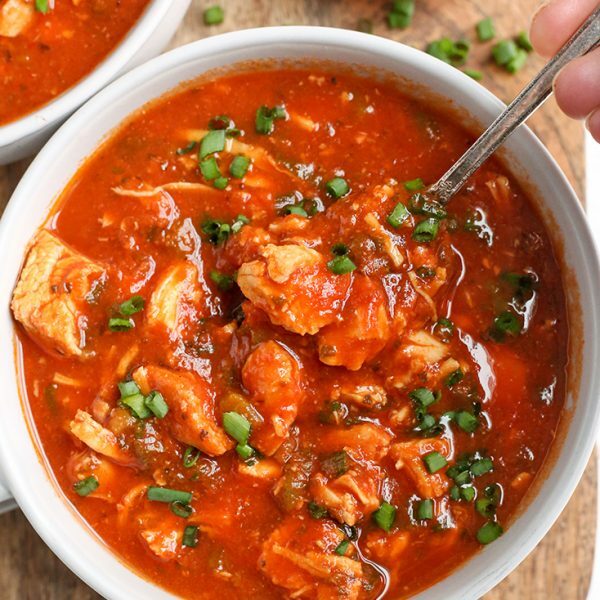 Pour the broth over it all. 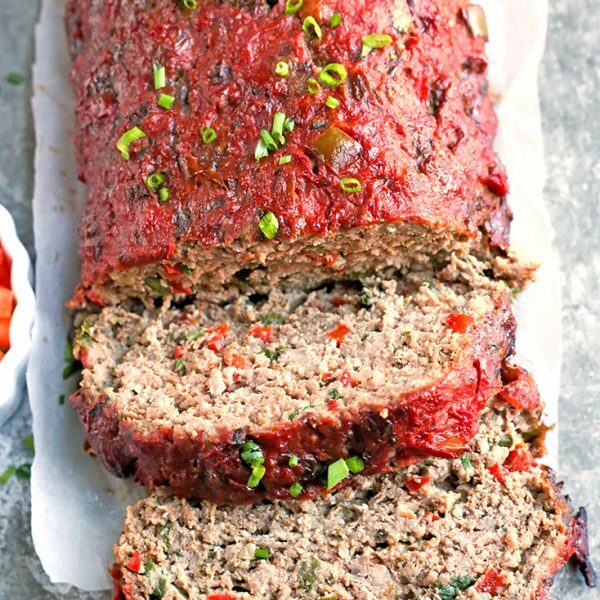 Cover and cook on medium heat for about 25 minutes or until a fork can be pushed in easily. 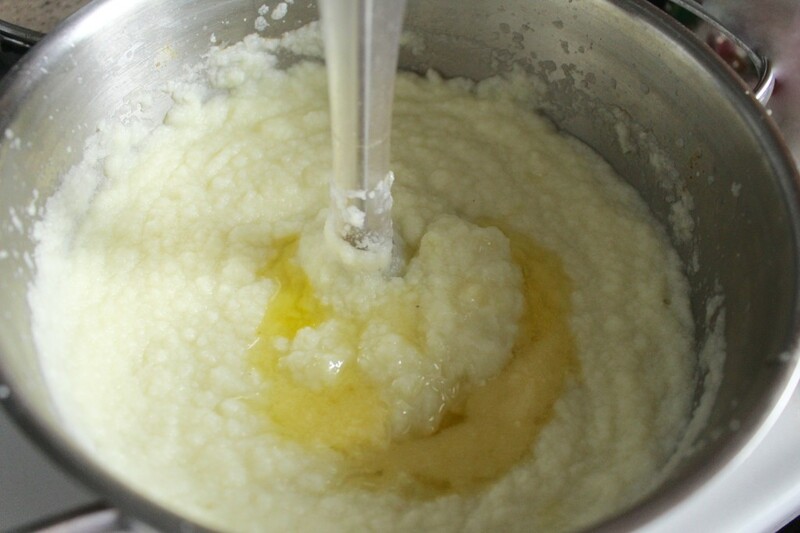 Take the pan off the heat and, using an immersion blender, blend until there are no large chunks. 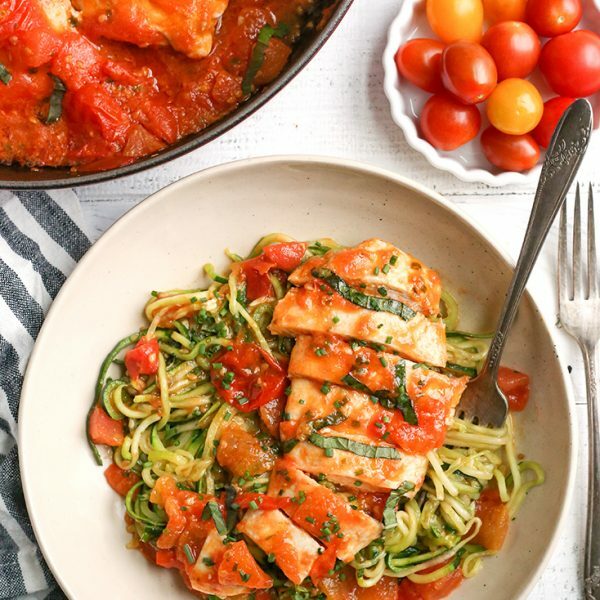 Add the ghee (or coconut oil) and blend again until super smooth; 1-2 minutes. 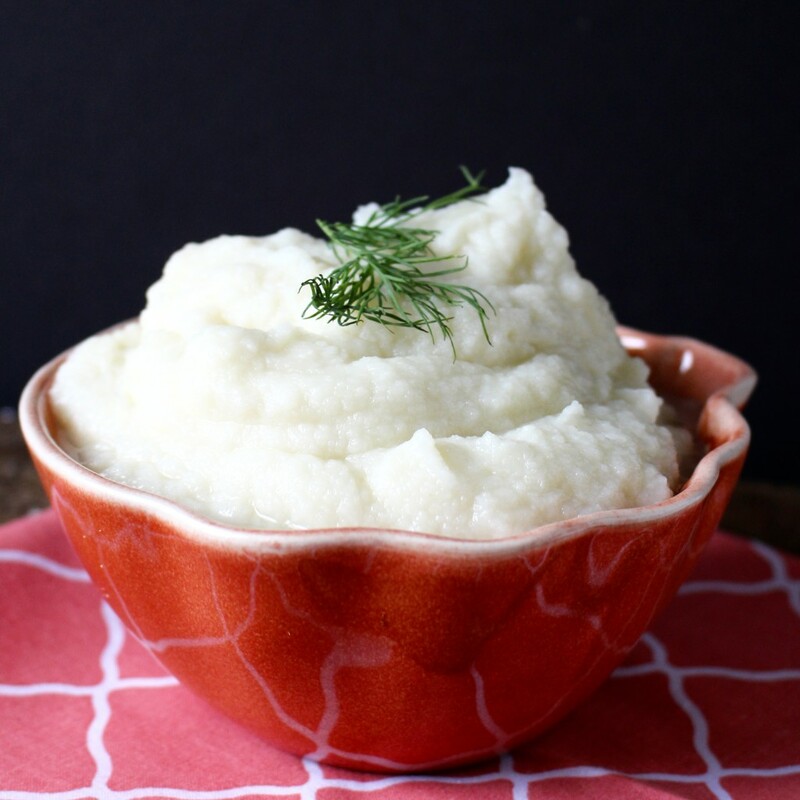 The cauliflower flavor is very mellow and it pairs nicely with gravies, bacon and green onions, and steak- really anything that you like with mashed potatoes. 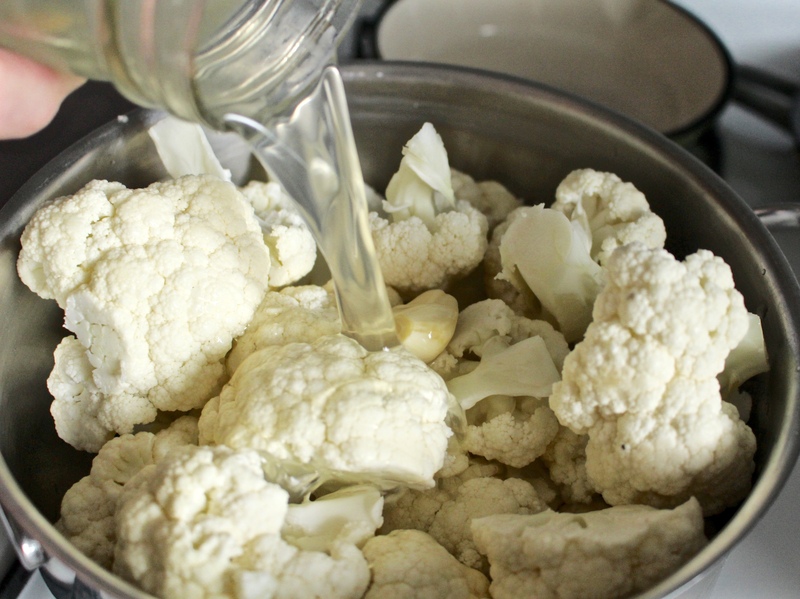 Cut the cauliflower in large chunks and place in a saucepan with the garlic, salt, and broth. 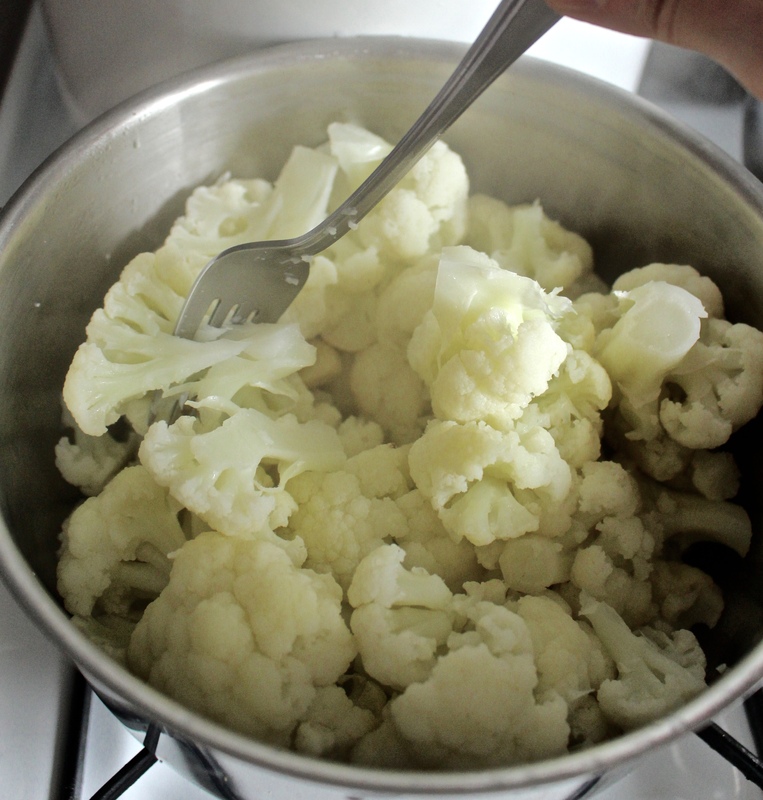 Cover and cook for 25 minutes or until a fork can be poked in to the cauliflower easily. 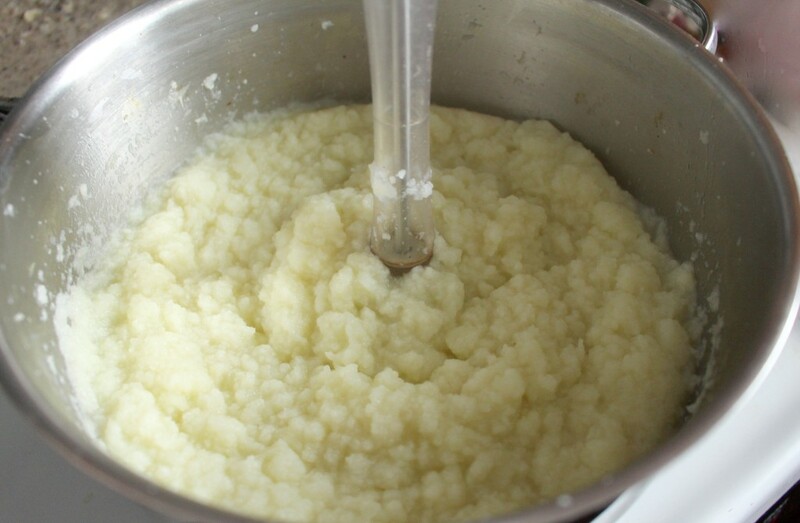 Remove from heat and using an immersion blender, blend until no large chunks remain. Add in ghee/coconut oil and blend again. Keep blending until completely smooth- 1 to 2 minutes.